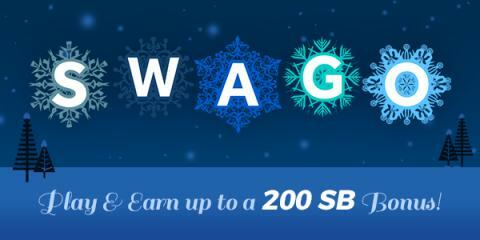 It's time for you to get a big SB bonus this Winter season courtesy of Swagbucks. This month's Winter themed Swago board offers a possible 200 SB Bonus! • Swago will begin on Monday, January 16th at 12:01pm EST, make sure you hit "Join" otherwise you won’t get credit for completing the action items. Each square on your Swago Board will contain an action item to complete. • The game ends Monday, January 26th at 3pm EST. So make sure to hit "Submit" on the pattern you wish to submit. If you don’t hit “Submit” before the game ends you won’t receive your SB bonus.